The Fishing Creek Tract is located on Lancaster Highway (Highway 9) just west of Fort Lawn in Chester County, SC. 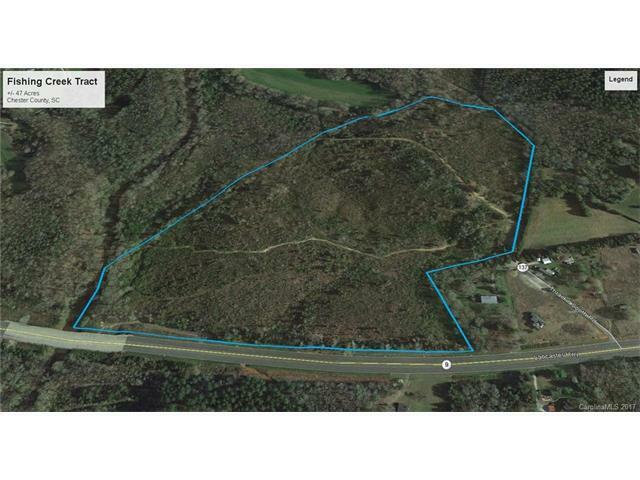 The property is approximately 47 acres and has +/-1,600 feet of road frontage on Highway 9, as well as frontage on Thrailkill South Rd. The property has approximately 400 feet of frontage on Fishing Creek. Sold by Kiker Resource Management Llc. Offered by Kiker Resource Management Llc. Copyright 2019 Carolina Multiple Listing Services. All rights reserved.